Researchers have a new understanding of the genetic makeup of a fungus that causes the disease Wheat Stripe Rust, one of the most destructive wheat diseases globally costing $1 billion annually. Rust fungi has a significant impact on food production across the globe as it targets crops such as coffee, sugarcane and soybeans. The research collaboration between The Australian National University (ANU), University of Sydney, and University of Minnesota shows for the first time that the two chromosome copies of the fungus are genetically diverse. Dr Benjamin Schwessinger from the ANU Research School of Biology said this enabled the fungus to adapt quickly to new wheat varieties, even those that have been specifically bred to be immune. "This rapid adaptation has made this fungus a consistent problem to Australian wheat growers since his first arrival in 1979," Dr Schwessinger said. "The research gave an insight into why the rust is able to adapt to new varieties so quickly. "Being able to pinpoint the number of genes that only appear once in the genome gives researchers a lead on which molecules to study next." These genes are the most likely ones to be lost by the pathogen to evade the plant immune system and cause epidemics in farmers' wheat fields. 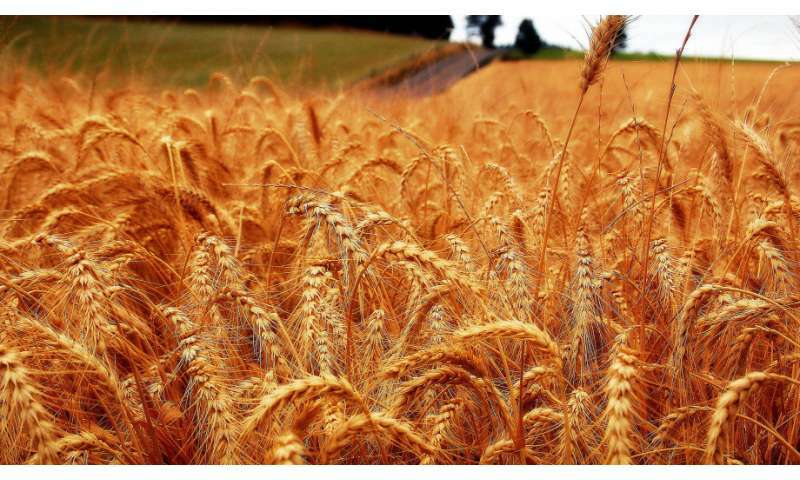 "In the future we'd like to pair up the genes in wheat and the gene in the pathogen to make predictions of what resistances in the wheat are more durable," he said.